As many in our profession are aware, the need for specialized bereavement support for those grieving an overdose death is vital. This type of loss is often complicated by unresolved feelings as well as fear of societal stigma. 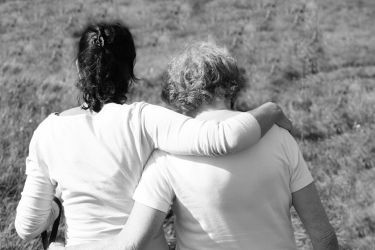 ASD has compiled a comprehensive list of grief support groups to help directors find resources to recommend to families impacted by an overdose death. June 6th will always be a date on the calendar I hate. It is a date that brings death and mortality to the forefront of my brain. Every year, no matter how old I get, when June 6th rolls around my memory always returns to the day a classmate in my elementary school was killed in a house fire. ASD is pleased to share this guest blog post from Kirsty Judge, Writer and Editor for Beyond, a UK-based company offering end-of-life planning tools. 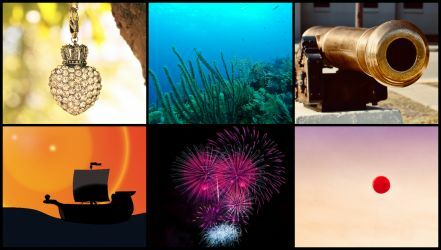 In this guest post, Kirsty outlines several unique and out-of-the-urn ideas for families wanting to do something extra-memorable with their loved one's ashes. Don’t let your website visitors move onto your competitor’s site – ASD can watch over your website “Contact Us” page and immediately alert the on-call funeral director the moment an urgent inquiry is submitted. This process decreases the delay in the funeral home’s response and can give firms a competitive advantage. This week, ASD traveled to Vegas for the ICCFA Convention, which brings together thought leaders in our profession from all of the country to share strategies. 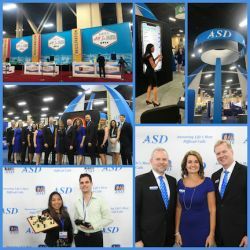 Conventions provide ASD with a unique opportunity to broaden our understanding of the funeral service community and record insights we can share with directors. Here are a dozen pieces of wisdom we found in unexpected places during this year’s convention. 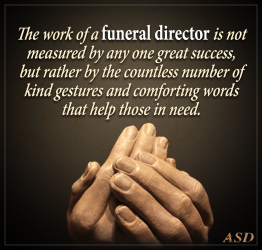 ASD, the leading funeral home answering service, sharing 10 distinct qualities and character traits that make directors extraordinary.